Genuine OEM HP Ink Cartridge Bundle Pack, 120 (Black), 100 (Color) page yield. 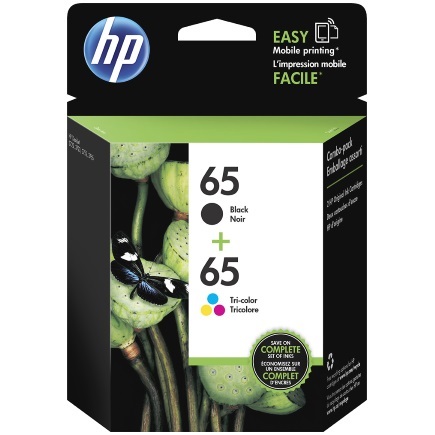 Bundle pack includes: one HP 65 Black, one HP 65 Tricolor ink cartridge. HP part number: T0A36AN, T0A36AN#140.